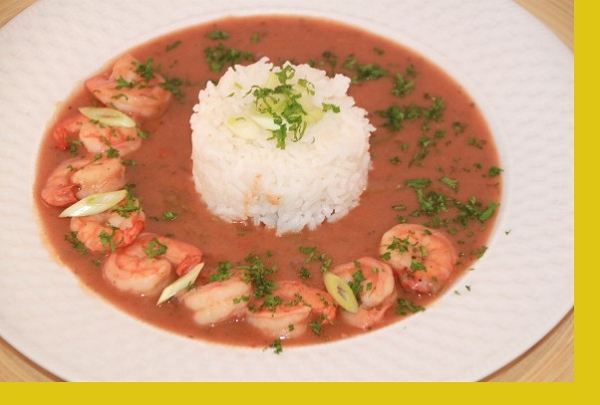 Shrimp in a rich & flavorful but not overly spicy dark roux together with the "Holy Trinity" of onion, celery and green pepper served over white rice. Serve up the New Orleans classic in the comfort of your home. Shrimp (Size: 31/40), onions, celery, bell peppers, tomatoes, garlic, scallions, parsley, chicken broth, flour, butter, cajun seasoning and spices. Heat a large skillet over medium high heat. Pour the etouffee in pan and bring to a slight boil. Reduce to medium low heat and add shrimp. Cook for 3 minutes or until shrimp is pink. Reheat rice and serve. We loved the dish and level of spicy. The shrimp were large and very filling. This is a great choice for anybody who loves this type recipe. Just the right amount of seasonings for our taste buds. Shrimp was fresh and rice a good texture. Not sticky rice like we get from some other places. Loved it! Easy to make and delicious!! 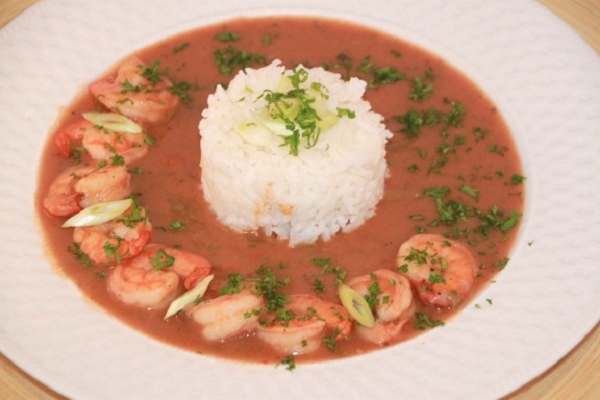 This Shrimp Etouffee was extremely easy to make -- great between church and a birthday celebration quickly. It was a tad hot for me, but certainly acceptable. My husband and son loved it, and so did I.